Swell City Guide was able to review a hot new makeup item recently. Do you like having soft lips? Do you want to hydrate chapped lips? Want a beautiful shimmery lip color? 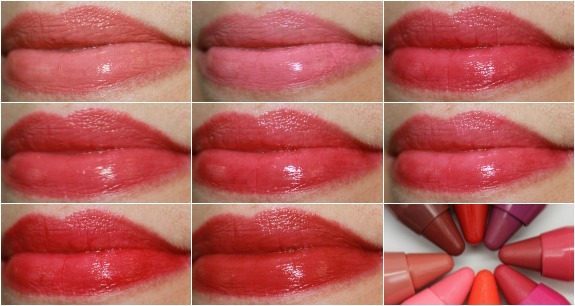 Hard Candy All Glossed Up is an amazing glossy hydrating lip stain/crayon for a very reasonable price. 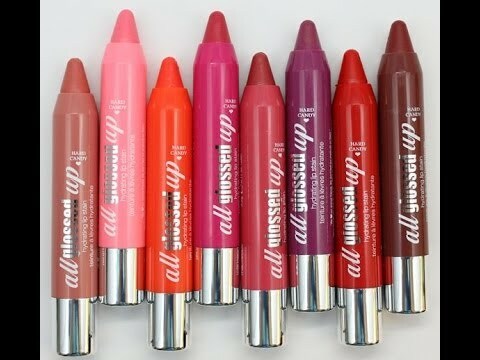 No need for a lip pencil sharpener because you can easily turn the knob at the bottom of the Hard Candy All Glossed Up Lip Stain crayon and more lip stain comes up. Turn the knob the other direction and the crayon easily retracts. I was really impressed with the durability of the crayon as it feel like it is well made. I was even more impressed with the hydration it gave my lips. I had chapped lips after some intense traveling for the past few weeks without having the time to drink enough water as needed. But once I applied the Hard Candy All Glossed Up to my lips my lips were no longer chapped. My lips instantly became so smooth! I have tried other lip balms and lip conditioners before but the Hard Candy All Glossed Up Lip Stain has made my lips even softer than those products! I can truly tell that its proud formula containing 44% lip conditioner does work! Now about the beautiful color of the Hard Candy All Glossed Up Hydrating Lip Stain crayon. Have you wanted ever wanted lips that sparkle with tons of shine? I was able to try the Hard Candy All Glossed Up Lip Stain crayon in the color “Pulse” and it was as if someone poured shimmery diamonds all over my lips. This definitely adds lots of shine to my lips and the color is gorgeous.